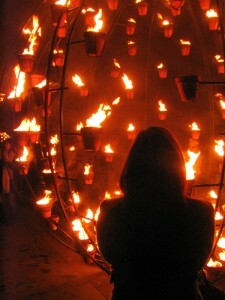 The Firelight, a street performance and installation by French artists group Carabosse, at this year’s Edinburgh Hogmanay was a wonderful experience. I found it’s much more fun, not mention warmer, than the Prince Street New Year party. 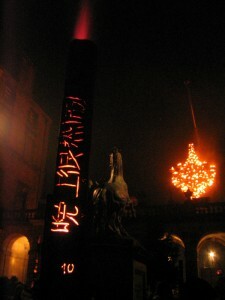 The Royal Mile at the centre of Edinburgh Old Town is an ideal place for the “fire fountains” and torches. The historic buildings of St. Giles Cathedral and City Chamber provided a great background for all the performance. I have to admit I can’t help but wondering “how many health and safety forms these guys had to fill?” though.